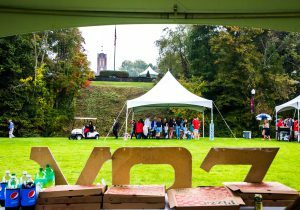 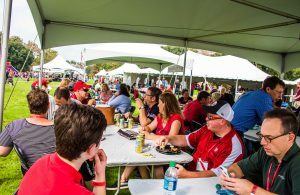 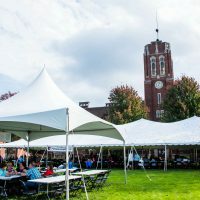 Grove City College’s Homecoming weekend is a wonderful tradition of bringing back alumni, enjoying the variety of groups on campus, and celebrating the lasting culture of the college. 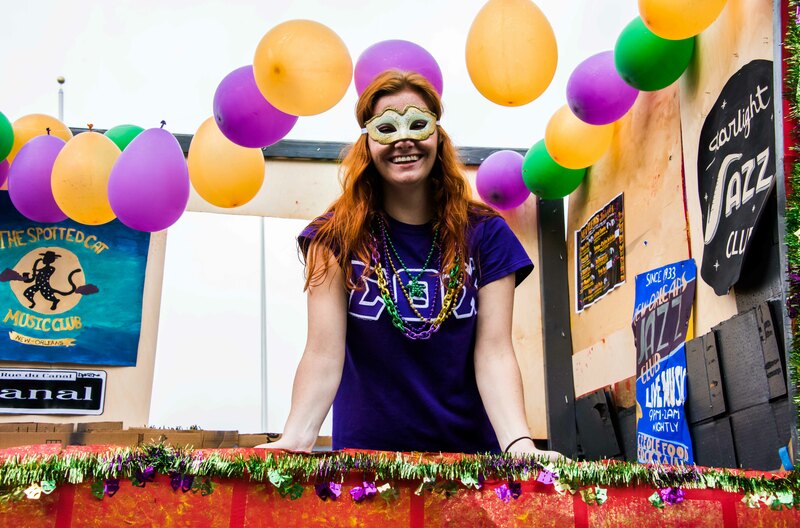 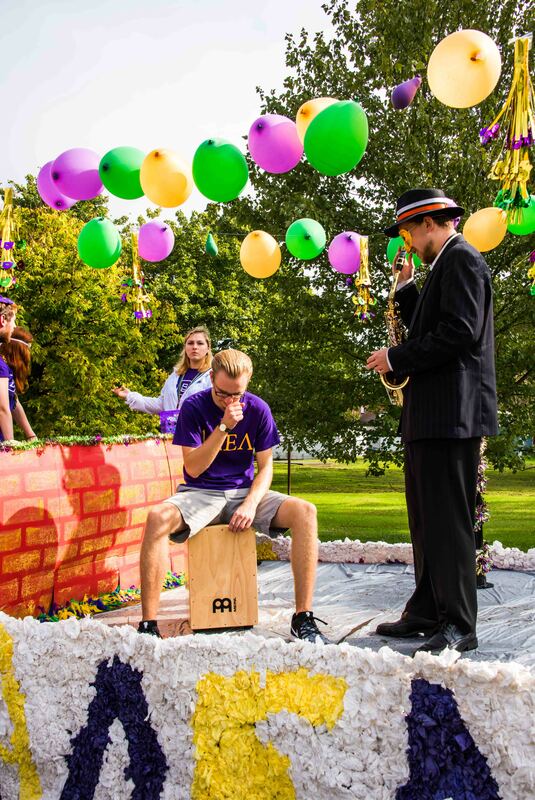 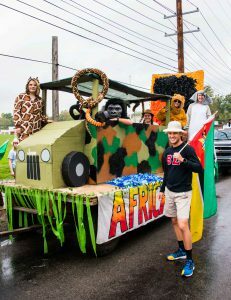 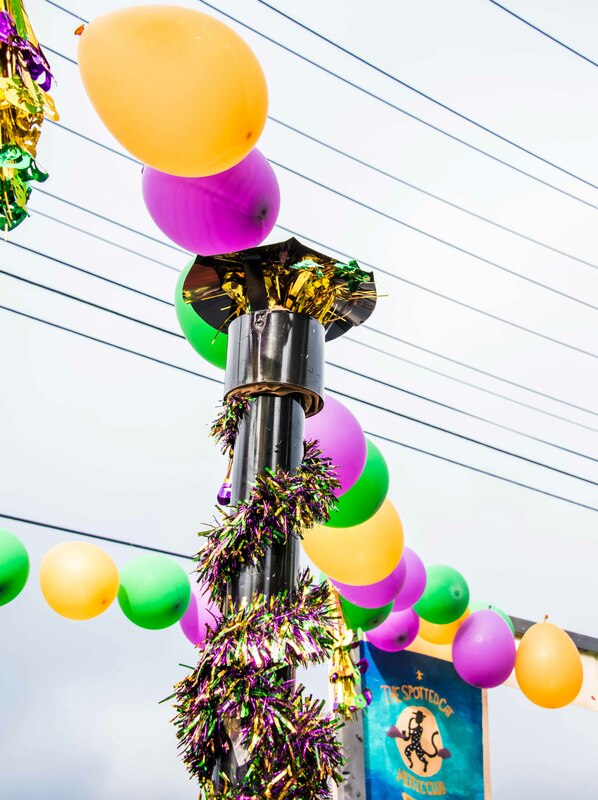 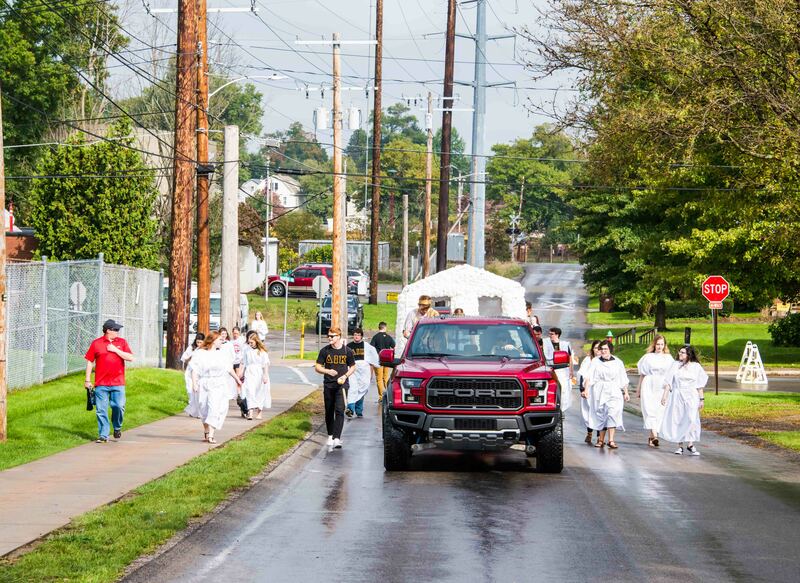 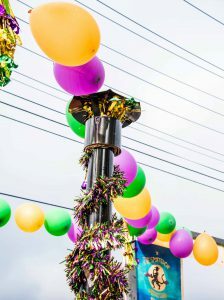 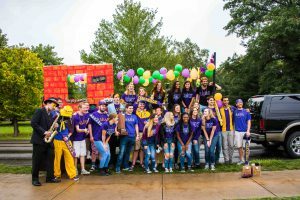 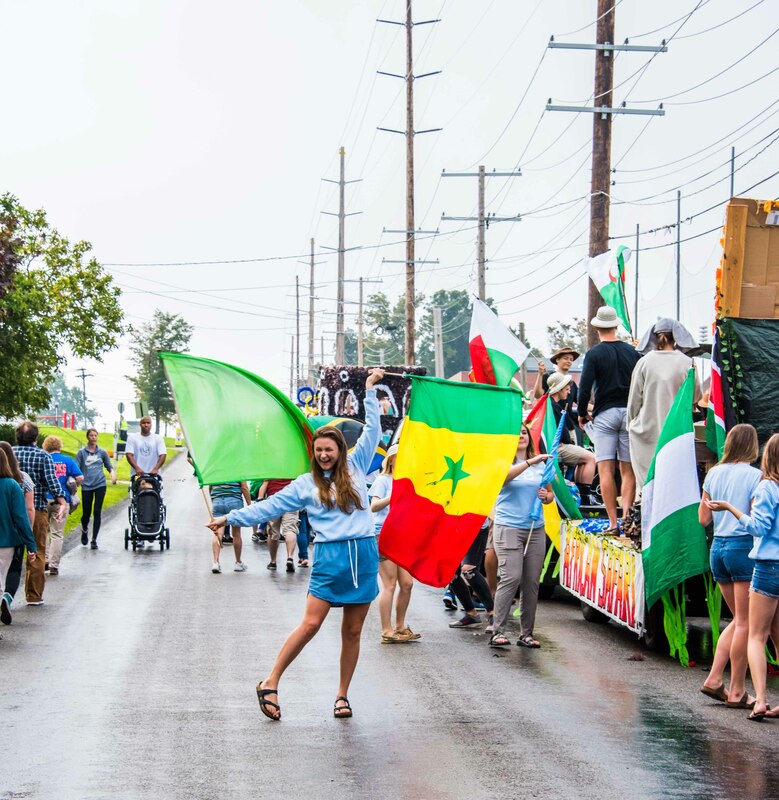 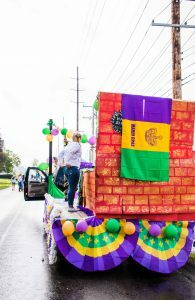 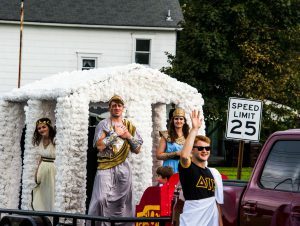 The Saturday morning parade showcases floats created by the different sororities and fraternities, alumni class reunions, the College’s band, Homecoming court, and much more. 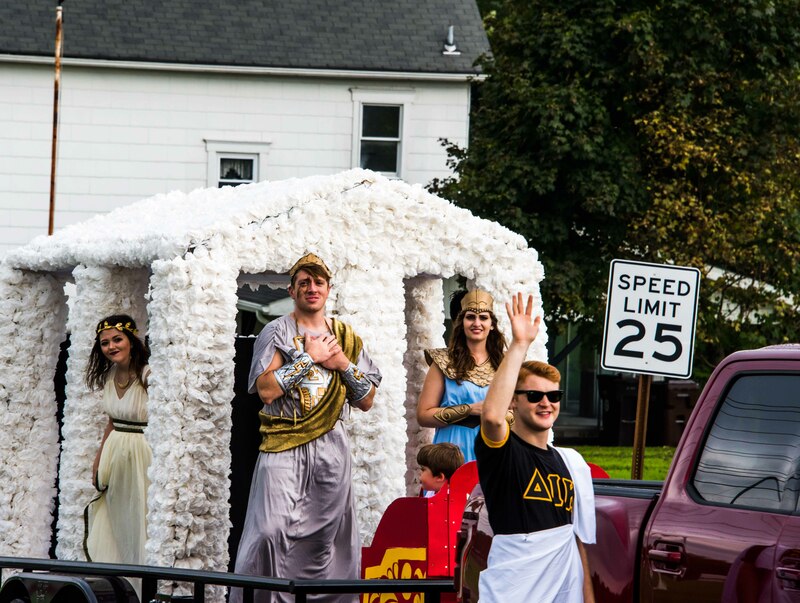 Our brother fraternity, the Adelphikos, were crucial to the construction of the float and made the work fun. 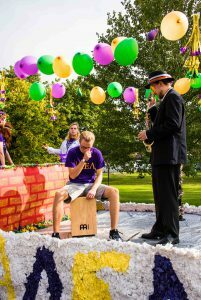 Members played live music during the parade to give a true Mardi Gras experience. 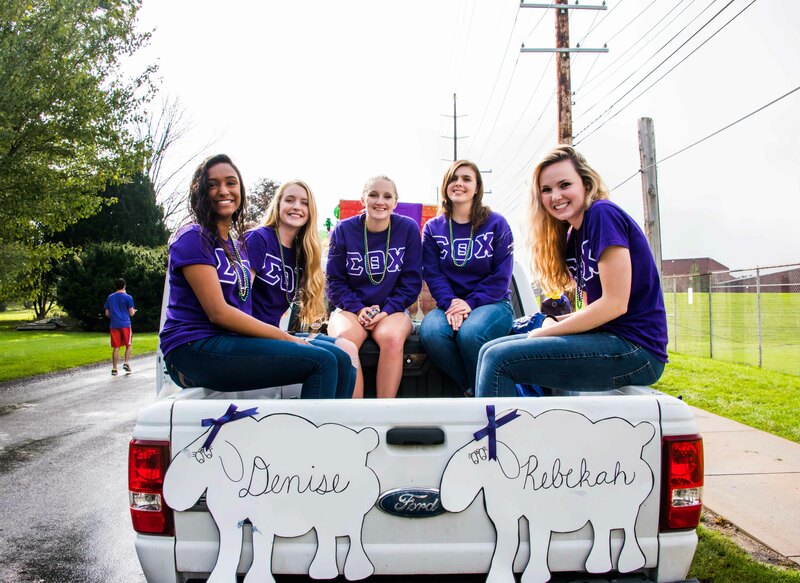 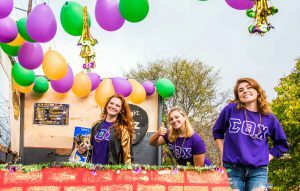 As a sorority tradition during the parade, Senior members ride on the back of a truck for their last Homecoming as college students. 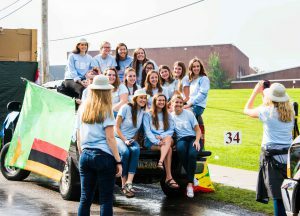 As Greek groups prepare to enter into the parade route, intermingling and laughter occur among everyone. 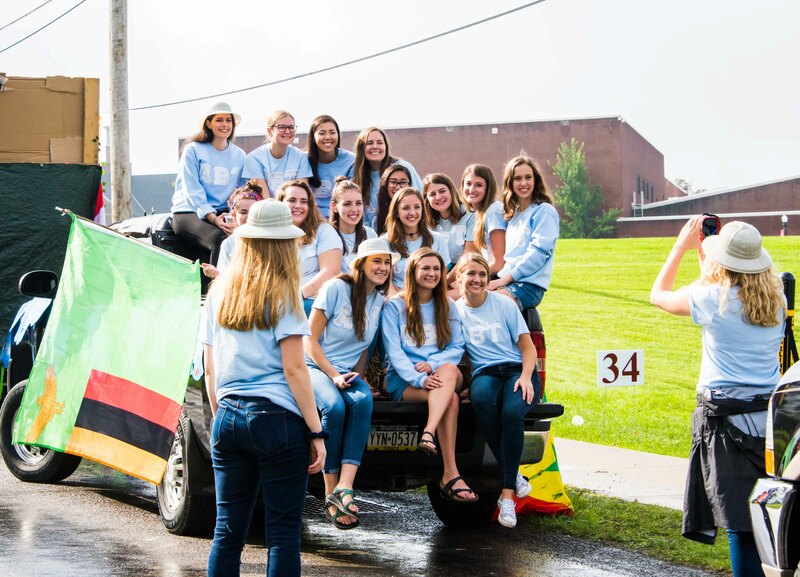 Friends took many pictures of one another, showcasing the hard work put into their amazing floats. 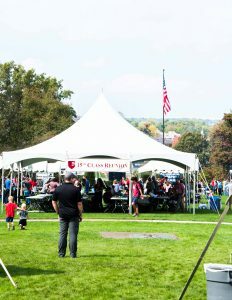 After the parade, people make their way to their reunion tents, campus group tents, or leisurely walking around socializing. 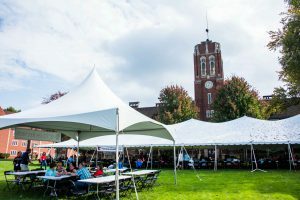 Grove City College’s alumni enjoyed the delicious food provided by the school, along with real conversations about their meaningful and occasional embarrassing college experiences. 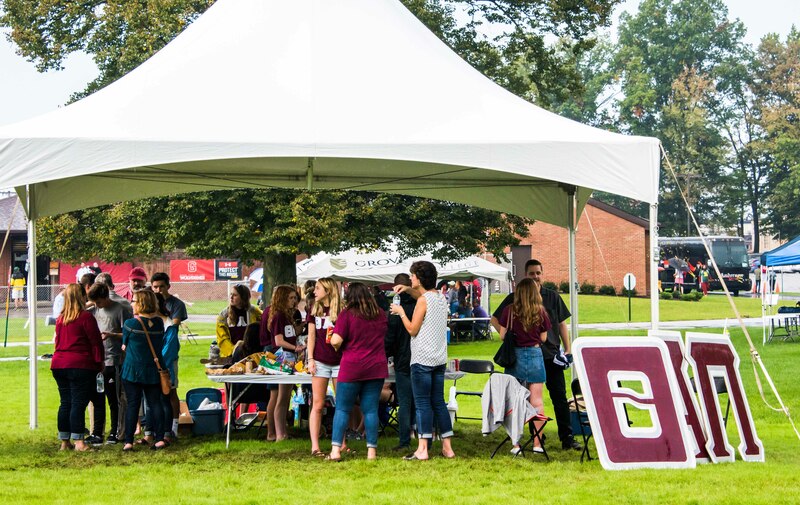 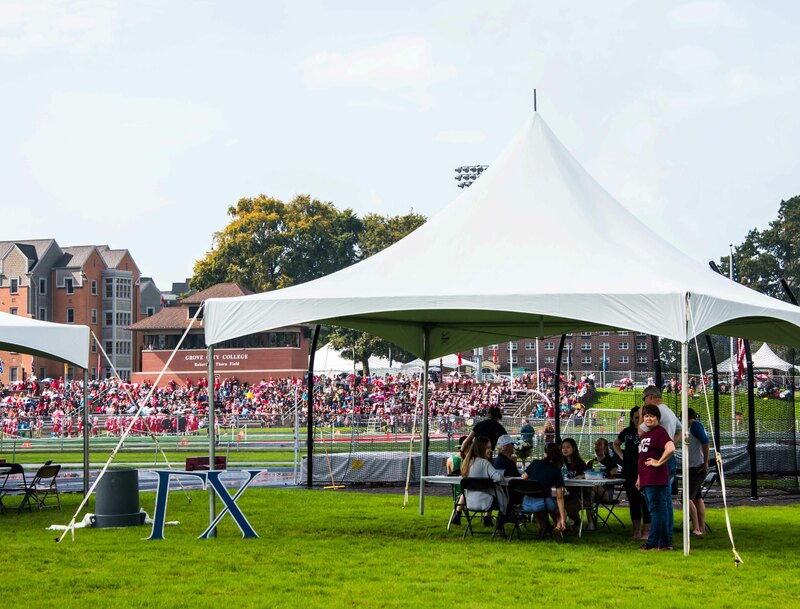 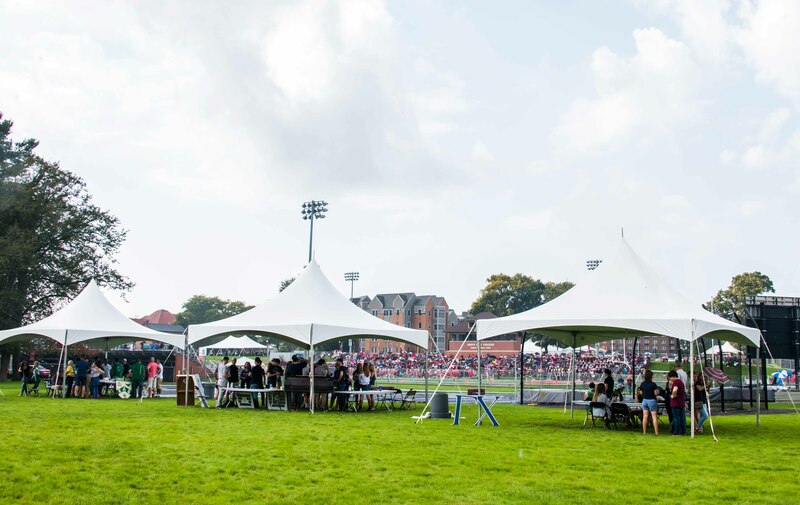 The majority of Greek life was located on lower campus, while groups like the Entrepreneurship Department and reunion tents were located on the “Quad” on upper campus. Later in the afternoon, the majority of people entered the stands for the Grove City College football game. With a win of 36-33 against Westminster College in the last 11 seconds, the Wolverines were just as enthusiastic as the crowd. 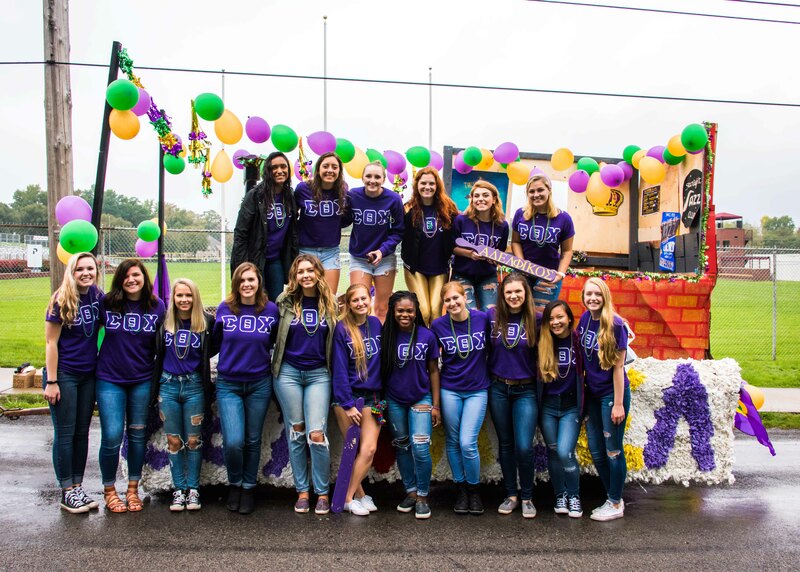 After another successful Homecoming weekend filled with laughter, excitement, and reuniting of alumni with current college students, the anticipation for next year awaits.